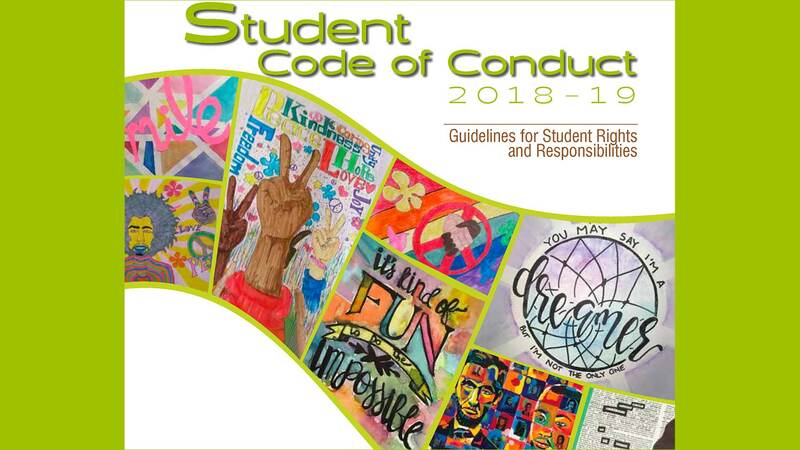 / Modified jun 28, 2018 12:57 p.m.
TUSD Board Member: New Code Of Conduct "Improving Administrative Culture"
The Tucson Unified School District approved a revision to the code of conduct for the next academic year that could improve the district's decline in enrollment and administrative culture according to one governing board member. The revision includes five levels of infractions, each level with its own consequences and explanations of who can enforce them and how to appeal. The revision could impact the administrative culture that protects students and staff from bad behavior according to former president and now governing board member Mark Stegeman who said that could affect enrollment. "I think the campus safety issues and climate are part of that declining enrollment, and so part of the way we will know if we are doing better is when families want to keep their kids in our schools," Stegeman said. The new policies enforce stricter consequences for fighting and give principals the right to protect campus safety even if it involves going above what the guide book allows, according to Stegeman. "The principal can impose an immediate one-day suspension, that wasn’t true before or at least it was discouraged," he said. The vote passed 3-2. Stegemen voted against it, saying it is a substantial revision that needed to go further. His two biggest concerns involve principals still having to receive permission from central administration to take certain actions. "It adds a level of bureaucracy and a level of intrusion," Stegeman said. "I think it's better to let the principles do what they need to do and hold them accountable if they have a mistake." Secondly he says the code does not implement teacher rights adequately. "TUSD has a long history of not quite accepting teacher statutory rights for most students," he said. "I think that this version of the code gets us closer but not there." One aspect of the revision is the implementation of a Positive Intervention Center, a policy that lets teachers remove disruptive students from their classrooms. Stegeman agrees the policy is necessary but does not understand why a student cannot be removed during the first 15 minutes of class. "Well if there is a large disruption going on in class, I am not sure why we would curtail the teacher's right and I am not sure that is consistent with statutes. It is sort of arbitrary," he said. Stegeman said the policy is a significant improvement despite his reservations, and more importantly it could continue to improve the administrative culture that helps establish campus climate. "[TUSD Superintendent Gabrielle Trujillo] has brought that shift in respecting policy and trying to move policy and practice a little bit further in protecting campus climate," he said. MORE: Arizona, Pima County, Education, Kids, News, Tucson, U.S.